Painting stripes on walls can add interest to a space. If you know how to paint stripes on walls you can create the impression of randomness or order, depending on the patterns you choose. 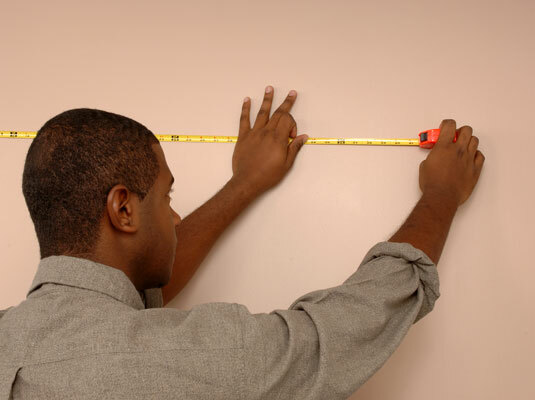 To get the look you want, you have to measure and level, and measure again. 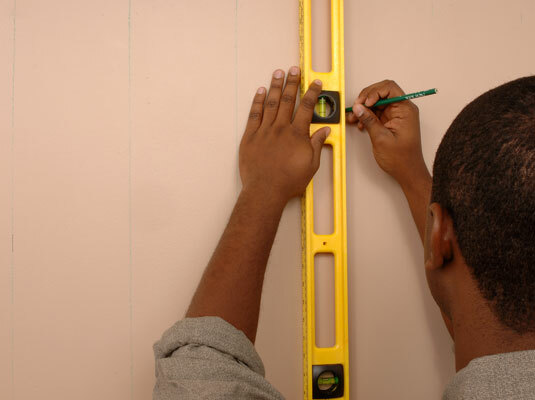 If you paint vertical stripes on the wall without penciling in the stripes and without using a plumb line, you quickly realize that two walls don’t always meet at a precise 90-degree angle. 1Create a plumb line by hanging a weighted string on a nail at the top of a wall — use a string that reaches from the ceiling almost to the floor. When you’re painting stripes, measure them from this exact vertical line. 2Place a yardstick right on top of the plumb line and measure off where the first stripe will start. This will, of course, vary depending on the stripe pattern you choose. 3Mark the spot for the first stripe. Use a pencil to make a small mark. 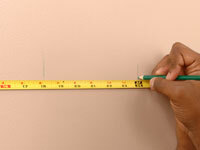 4Move the yardstick to another spot on the plumb line, and make another pencil mark. 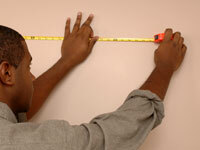 Move the yardstick a few feet higher or lower than the original mark. 5Repeat until you have enough pencil marks to draw a straight line from the ceiling to the floor. 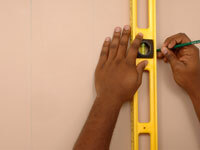 You can use a level as a straightedge to help you ensure that you are maintaining a straight line. 6Follow all the steps again to mark off the other side of your first stripe. 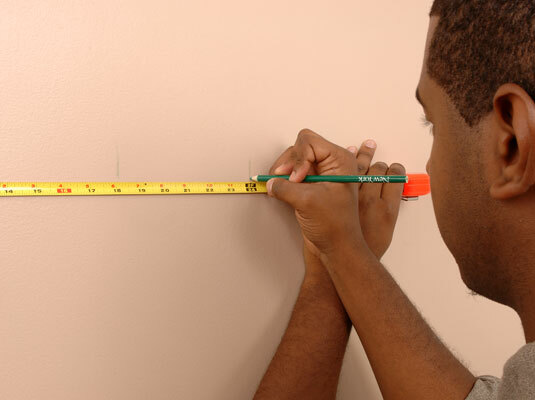 Use these steps to measure and pencil in each stripe along one wall. 7Rehang the plumb line on another wall and start all over again. For best results, do some calculating ahead of time so that you don’t run out of space for the stripe you want.